Explanation: Higher than the highest building, higher than the highest mountain, higher than the highest airplane, lies the realm of the aurora. Aurorae rarely reach below 60 kilometres, and can range up to 1000 kilometres. 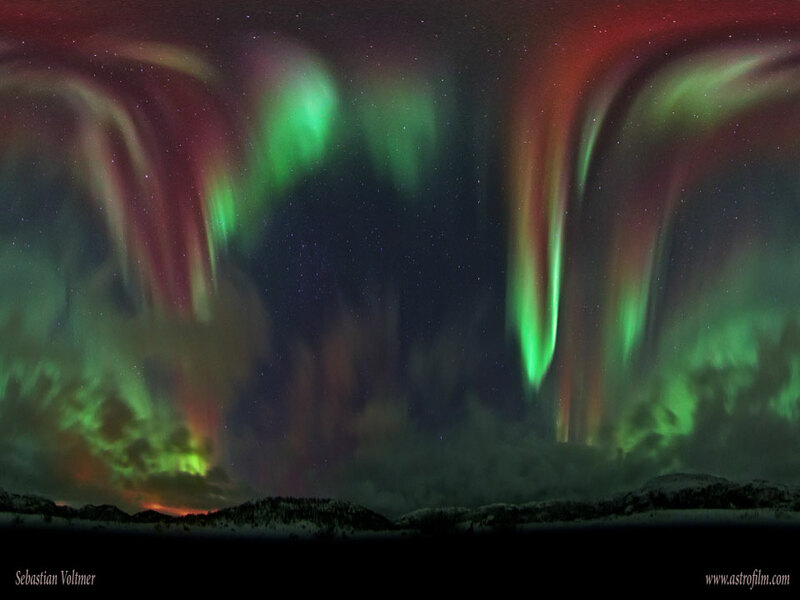 Aurora light results from energetic electrons and protons striking molecules in the Earth's atmosphere. Frequently, when viewed from space, a complete aurora will appear as a circle around one of the Earth's magnetic poles. The featured wide-angle image, horizontally compressed, captured an unexpected auroral display that stretched across the sky five years ago over eastern Norway.